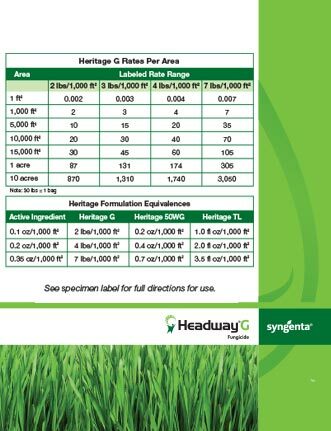 View the Labels/SDS information for Headway G Fungicide. 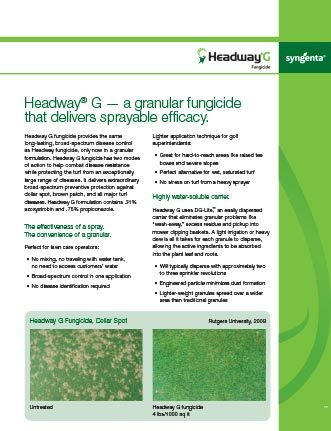 Headway® G provides the effectiveness of a spray with the convenience of a granular due to a highly soluble carrier. Even heavy dew can dissolve the carrier, adding to the efficiency of the product. Headway G provides the same long-lasting broad-spectrum control of the liquid Headway formulation on turfgrass diseases including brown patch, dollar spot, anthracnose and take-all patch. Lighter-weight granules spread over a wider area than traditional granules. Available in 30-pound bags. 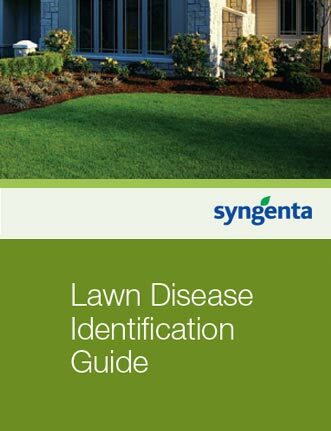 An overview of the benefits of the granular formulation of Headway G for disease control in lawns. View rate conversions and spreader settings based on spreader type. 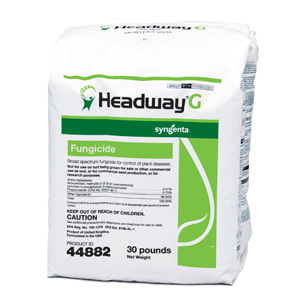 Headway®, Greencast® is a trademark of a Syngenta Group Company.